If your idea of healthy food is leafy salads and bowls of fresh fruit, the good people at Grab-A-Diet will change your mind about switching to clean eating. While it may seem tough to stick to those diets we keep committing to (and subsequently cheating on), Grab-A-Diet’s menu will let you eat your heart out, devoid of any guilt. You can start off with one of their healthy, detox juices – we recommend choosing from Black Magic (an activated charcoal lemonade) or the Ultimate Green Detox (loaded with green apple, celery, kale and mint). If you’re ordering breakfast, try the quinoa upma as well as the overnight fruity oat bowl. You can get a good dose of protein with their mushroom or chicken-stuffed boiled eggs. 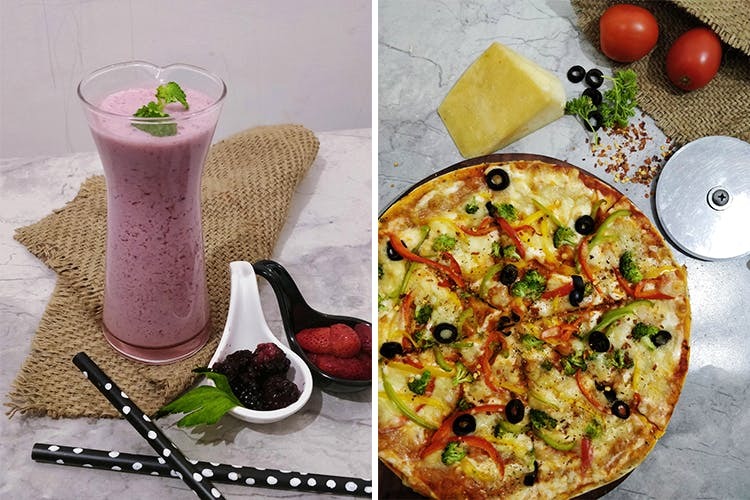 While they have some really nice options for salads (the chicken, apple and pineapple one sounds delicious), if you’re craving pizza and burgers, they’re doing these too. They’re making the Keto diet a bit more bearable with their special, whole wheat pizza, and while vegetarian food fails to excite the red-meat loving carnivore, their lentil burgers are protein-packed and delicious. All their pastas are whole wheat, and they use brown rice in their dishes. You can see exactly how much protein, carb and the amount of calories you’re consuming for each of their dishes, so this helps if you’re regulating your intake. We like how they’re really making an effort to provide healthy food that’s delicious, and doesn’t leave you feeling like you’re missing out on something like most diets do. The next time you’ve had a rough day at work, or just want to treat yourself to some healthy comfort food, order from these guys instead of binging on junk food and feeling guilty about it later.